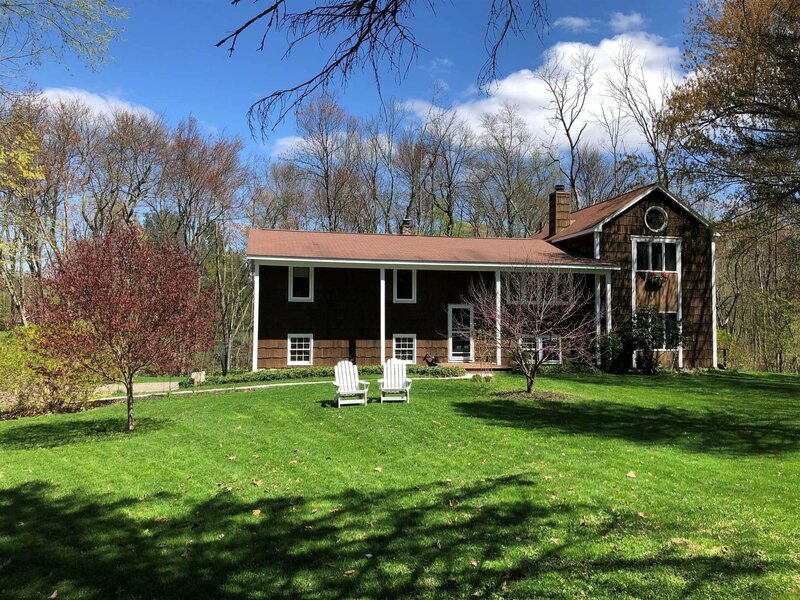 This Rhinebeck contemporary style, light filled home is sited on .75 landscaped lovely acres bordering a year round stream. The landscape includes mature trees, flowering bushes and a large sunny lawn. The home features 3/4 bedrooms (wood floors), 2 full bathrooms, the large master suite has master bath, walk-in closet & vaulted ceiling, a spacious living room w/wood fireplace, a formal dining room, the eat-in kitchen opens to back deck, a home office, a large lower level family room, back deck & 2 car attached garage. All mechanicals and appliances are in good working order, the home has been well maintained and is in move-in condition. Located ideally at the end of a quiet cul-de-sac minutes from Rhinebeck village, the schools, Amtrak and the Taconic PKWY. This is a perfect full time home or a weekend retreat. A must see to appreciate all the space, light and possibilities this home has to offer.